Pressure measurement is all about PSI. 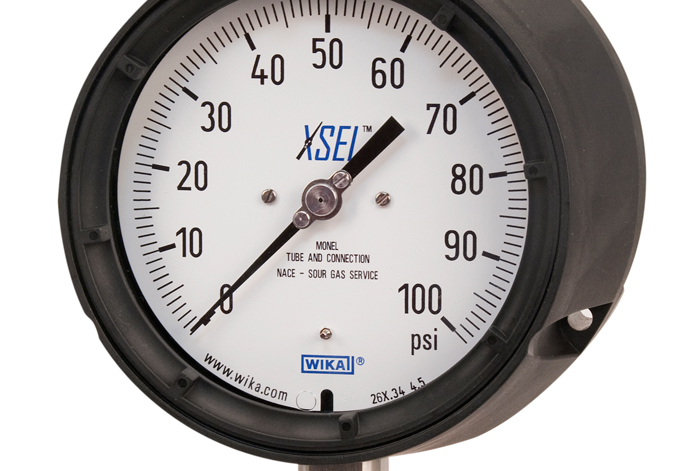 That’s because pounds per square inch (PSI) is the most common unit for measuring pressure in the U.S. It’s important to understand what PSI means and how it is used, as pressure measurement is an important part of life in the 21st century. For example, you need to make sure that your car tires or bicycle tires are inflated to the proper PSI before you drive or ride, and today, equipment of all types includes pressure sensors or gauges to assist in monitoring and diagnostic operations. Moreover, scores of careers, ranging from civil and mechanical engineer to meteorologist to refinery pressure instrument technician, also involve understanding and using pressure measurements as a part of their daily activities. Pounds per square inch is the unit of pressure used the vast majority of the time in the United States for household, commercial, or industrial equipment. Other countries measure pressure in different units. In scientific contexts (physics labs and so forth), pressure is typically measured in much smaller units called pascals (named after French physicist Blaise Pascal). For reference, 1 PSI equals 6,894.76 pascals. Pressure measurement instruments such as pressure gauges and sensors typically display measurements in PSI. Two frequently used variations of PSI are PSIA and PSIG. PSIG is the term for pressure specified by a gauge or other pressure measurement device. It gives the difference between the pressure in a pipe or tank and the pressure of the atmosphere (atm). Note that PSIG is always lower than PSIA. The formulas to describe the relationship are: PSIG + 1 atm = PSIA and PSIA – 1 atm = PSIG (where atm is atmospheric pressure). It is easy to calculate PSIA or PSIG or convert between the two. You can use the actual atmospheric pressure value for your location if it is available, or you can also use 14.7 psi (the approximate atmospheric pressure at sea level) as a standard value to convert PSIG to PSIA and vice versa. (Unless you live at high altitude or in a deep valley, the sea level value will work.) In other words, since atmospheric pressure at sea level is 14.7 PSIA, you subtract the PSIA of 14.7 from an atm pressure of 14.7 to equal zero PSIG (14.7 (PSIA) – 14.7 (atm) = 0). As an example, absolute pressure at sea level is 14.70 PSIA and absolute pressure at an elevation of 1,000 feet is 14.18 PSIA. At the higher elevation there is less pressure, so if an absolute pressure gauge is read at a 1000-foot elevation, its readings will be close to .5 PSI (14.70 – 14.18 = .52) less than those from a standard pressure gauge. WIKA’s knowledgeable technical staff is more than happy to answer any questions you may have about PSI, PSIA, PSIG or pressure measurement. We can be reached by phone or email, and promise a prompt reply. Why does on Pressure Gauge scale indicate PSI instead of PSI-g? Regards!!! Per the US standard for pressure gauges ASME B40.100 all standard pressure units such as psi, bar, kPa, kg/cm2 etc. indicate gauge pressure or relative pressure until otherwise specified. It is not required to use psi or bar unless required by the customer. For all other scales, absolute or differential pressures are indicated by adding the words “absolute” or “differential”. It is also acceptable to use abbreviations such as abs or diff or to use units such as psia (psi absolute) or psid (psi differential). However, the suffix g is not required when measuring relative or gauge pressure. Almost all manufacturers use psi or bar, kPa etc.